Can you cruise in a wheelchair? You'll have to provide your own equipment: While cruise ships do carry some wheelchairs onboard, these are usually reserved for emergencies and you’ll be expected to bring all of your own equipment. Check out Special Needs at Sea to rent anything you don't want to carry with you. Research your itinerary: At certain stops, passengers will have to take a shuttle, or “tender”, to reach the port. Passengers in wheelchairs or scooters may not be allowed on the tender and might be stuck on the ship. Even if the ship does dock directly, many cruise ship ports are not wheelchair-friendly. Your best bet is to choose destinations where attractions are close to the port, or book accessible transportation beforehand. Plan excursions carefully: You can buy excursions from the cruise line while on board, but they may not offer accessible excursions at every stop. Plan early and make arrangements through a travel agent or local tour operator before leaving home. How They Differ: Azamara offers transfers to the airport using accessible vehicles at domestic ports by request, at no extra cost. The line also offers early boarding and accessible shore excursions. How They Differ: In addition to fully-accessible staterooms, some cabins are modified with grab bars and shower seats in the bathrooms but without the other amenities of fully accessible staterooms, like ramped entrances to bathroom and additional space. The line offers transfers to the airport using accessible vehicles at domestic ports by request, at no extra cost. Each terminal also offers wheelchairs to transfer guests onto the ship; but you’ll need to rent one or bring your own if you need it for the duration of the cruise. How They Differ: They offer transfers to the airport using accessible vehicles at domestic ports by request, at no extra cost. There is a limited number of wheelchairs onboard that guests can reserve ahead of time, or you can rent one or bring your own. Also, the tender platform is fully accessible on Solstice-class ships, and the line also offers some accessible shore excursions. How They Differ: There’s a dedicated wheelchair lift to help mobility-impaired passengers off the ship in case of emergency. The line also offers accessible shore excursions and priority boarding. How They Differ: Some excursions are suitable for those in wheelchairs. Personal assistants are available for those who may need extra help in port while on shore excursions for an extra fee. How They Differ: Hand-held mirrors and portable hair dryers are included in accessible staterooms. The line also provides raised beds as a standard, while other lines offer risers upon request only. How They Differ: Castaway Cay, the line’s private island, has paved pathways, beach wheelchairs, accessible restrooms, and tram service. There are wheelchairs to assist guests in boarding and disembarking in the ports, but to have one during the duration of the cruise you’ll need to bring your own. How They Differ: All ships except Prinsendam and Zaandam have a lift system for wheelchairs to roll onto tender boats. In addition to fully-accessible staterooms, some cabins are modified with grab bars and lower thresholds in the bathrooms but without the other amenities of fully accessible staterooms, like additional space, shower seats, and lower closet rods. Most airports and cruise piers have transfer vehicles with hydraulic lifts. How They Differ: Beach wheelchairs are available on Great Stirrup Cay, the line’s private island. All of the ships have pool lifts for hot tubs. The line also offers transfers to the airport using accessible vehicles at domestic ports by request, at no extra cost. Some shore excursions are accessible. How They Differ: The doors leading to the decks are wooden and not automatic. However, the line offers some accessible shore excursions. How They Differ: Many ports use a “stair climber” machine, which lifts wheelchair-bound passengers up the gangway. Note that passengers must transfer to a cruise line-owned wheelchair to use this feature. The line also offers accessible shore excursions, and their private island Princess Cays has ramps for easy access. How They Differ: Regent’s ships have a very limited number of accessible rooms each — some of which are penthouse suites — so book accessible rooms early. The line also offers some accessible shore excursions. How They Differ: There’s a wheelchair lift for one hot tub and one pool on each ship. The line also offers transfers to the airport using accessible vehicles at domestic ports by request, at no extra cost, as well as wheelchair assistance for boarding the ship. 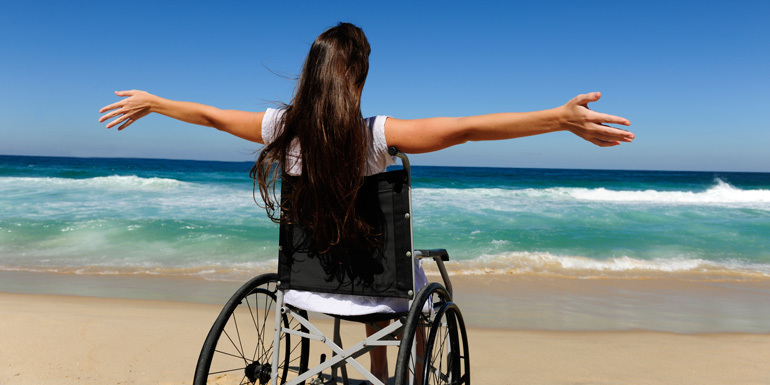 If you want a wheelchair for the duration of the voyage though, you’ll need to bring your own or rent one. There is also priority boarding as well as some accessible shore excursions. How They Differ: Complimentary wheelchairs are available for embarkation and disembarkation, but not available to be used throughout the voyage. Guests will either need to rent one or bring their own. Accessible staterooms are only available on Quest, Sojourn, and Odyssey. There are some accessible shore excursions. How They Differ: The line offers some accessible shore excursions. How They Differ: Star Pride, Star Breeze, and Star Legend have modified wheelchair accessible suites available. Those three plus Wind Surf have elevators. There are no elevators on Wind Star and Wind Spirit, and the ships were not originally constructed to be wheelchair accessible. Updated on March 30, 2017. Which line do you think is the most wheelchair friendly?